Like your Social Security number, your credit score is one of those numbers you need to know. Those three little digits determine if you'll qualify loans and affect the interest rates you'll pay. Find out how much you truly know about credit scores with these surprising statistics. Issued by Fair Isaac Co., FICO scores are the gold standard of credit scores. They are most often used to gauge your creditworthiness. 1. What is the national average FICO score? The average FICO score nationwide was 699 as of April 2016. That means we've all been handling our debt better - the average credit score was 686 in 2009. 2. How many Americans have a FICO score below 500? FICO scores range from 300 to 850. Generally, a score below 550 is considered poor. 11.7% of the population has a score of 549 or less, according to FICO's data. That's actually an improvement - the number was 16% in 2009. 3. What percentage of Americans have a FICO score over 800? On the opposite end of the spectrum, a score above 800 is considered excellent (super prime). About 20.4% of Americans have a score ranging from 800 to 850 as of April 2016. 4. How common is a perfect 850 FICO score? Maintaining an 850 credit score is VERY rare. According to FICO, less than 1% of the population can boast about their perfect score. VantageScore is an alternative score developed by the three major credit bureaus. Like the FICO score, it has a range from 300 to 850. 5. What is the national average VantageScore? The average VantageScore was pegged at 673 in 2016, up four points from the previous year. 6. What's the average VantageScore for Millennials? Millennials lag behind the older generations when it comes to credit scores. The average 22- to 35-year-old has a VantageScore of 634. 7. How does the average score compare for Generation X? Adults aged 35 to 51 do only slightly better with their scores. As of 2016, the average Gen Xer had a VantageScore of 655. 8. What kind of scores do Baby Boomers have? Baby Boomers in the 52 to 70 age range see a big uptick in their scores, with an average VantageScore of 700. 9. What about the Silent Generation? Seniors (aged 70+) tend to fare the best when it comes to VantageScores. The average score for Traditionalists is 730. State with the Best Credit: Minnesota leads the pack with an average VantageScore of 707 in 2016. The next highest state is Vermont with a score of 700. State with the Worst Credit: Mississippi residents clock in at 645. The next lowest state is Louisiana with an average score of 648. 12. What percentage of Americans have checked their credit in the last year? According to a 2016 report from the National Foundation for Credit Counseling (NFCC), 56% of consumers said they checked their reports in the last 12 months. 13. What is the biggest reason for not checking their credit score? The NFCC study found that 36% of people think there's no reason to check their credit score. About 8% didn't know how to, and another 8% thought it's too expensive. You Should Know: Some credit cards and credit monitoring websites now offer free credit score checks. You can find these with a simple web search. 14. How often are Americans checking their credit scores? About 29% check a couple of times a year and 21% check once a year, according to a 2016 Bankrate survey. 15. What percentage of Americans don't have a credit score at all? 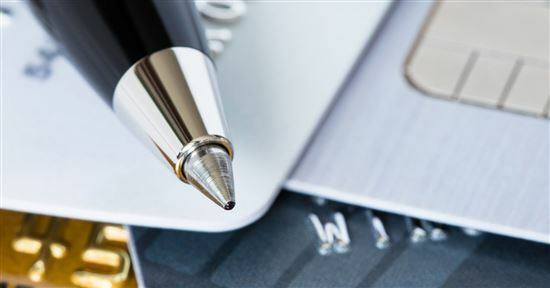 An estimated 19% of the population - or roughly 45 million adults - are considered "credit invisible," according to the Consumer Financial Protection Bureau. That means they don't have any history of using credit or there's limited data on how they've used it, so they do not have a score on file. 16. What percentage of young adults lack a credit score? Not surprisingly, folks just entering adulthood don't have much of a credit reputation. About 80% of 18- and 19-year-olds do not have a score. That percentage shrinks as people get older. A little under 40% of young adults aged 20 to 24 have no credit score. 17. What percentage of Americans think their score is on their credit report? According to a 2014 survey from the NFCC, 54% of adults mistakenly believe that credit scores are listed on their credit report. Under the Fair and Accurate Credit Transactions (FACT) Act, consumers can access a free credit report from each of the three credit reporting agencies - Equifax, Experian, and TransUnion - once every 12 months. The three nationwide credit reporting agencies operate a single web site, AnnualCreditReport.com, which is the only authorized online source for free credit reports. These reports do NOT include a free credit score check. 18. What percentage of Americans think credit scores and reports are the same? Even more troubling: many adults use these terms interchangeably. 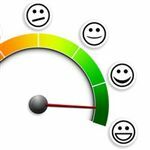 Another 2015 survey from the American Bankers Association revealed that 44% of consumers believe that credit scores and credit reports mean the same thing. 19. What percentage of Americans don't even know what a credit score means? Only 41% of Americans understand that a credit score measures your risk of not paying a loan, according to a joint survey from the Consumer Federation of America and VantageScore. Others think it means the amount of debt you carry (22%), your available financial resources (20%), and your knowledge and attitude towards credit (12%). 20. What percentage of Americans think age is a factor in calculating scores? Many Americans aren't exactly clear on how their score is calculated. The same survey from CFA and VantageScore found that 38% of women believe their age determines their score, while 48% of men hold the same view. 21. What percentage of Americans believe marital status is a factor? If you believe getting married can help your credit score, think again. About 34% of women and 46% of men think that marital status influences your score. In reality, the score is determined by several factors, including how you handle your loans and debt. (To learn more, check out What Is a Good Credit Score?). 22. Can your credit score impact your dating success? A low credit score could be trouble for your love life (and vice versa.). According to a fun Bankrate survey, 38% say that knowing someone's credit would impact their interest in dating them. This is more important to women, with 43% saying so, compared to 32% of men. 23. Can your credit score affect employment? A Demos survey found that 47% of employers check a potential hire's credit score. Of the applicants with less-than-stellar credit scores, 1 in 7 people were told that they were not hired because of their score. In general, Americans are improving their credit scores. But many of us need to track them better. It's worth checking your credit score at least once a year. 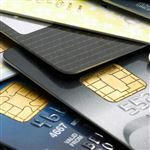 (Many credit cards on the market today show your score on your monthly statement). Stay informed, so you can be sure to get credit at the lowest rates possible when you need it. Learn about credit score, a number that helps lenders and others predict how likely you're to make your payments on time. Leave a comment about 23 Startling Credit Score Statistics and Facts? Share on Facebook "23 Startling Credit Score Statistics and Facts"